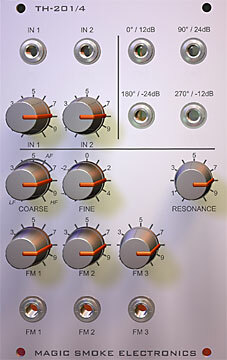 The Mankato covers a very wide frequency range: from around 0.011Hz (90 seconds per cycle) to 22kHz without range switches. Changing the timing capacitors can provide extended low frequency operation. You can certainly build your Mankato with a range switch, if that's your preference. Isn't DIY great?! Check out Dave Brown's rev. 2 Mankato, a first class build. He's got excellent tips and photos. Nice work, Dave, thanks for sharing! Also, hear sound samples made using a Mankato. Boards are US$20 each. Shipping and handling charges are shown, below. total quantity of PC boards in the shipment. stg/soundlabs offers front panels and finished modules in various formats. 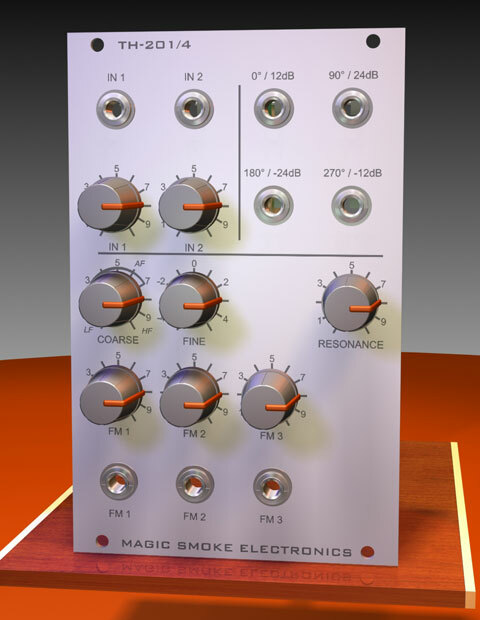 Bridechamber offers MOTM-style front panels and other DIY parts.